I was out in Klosters before Christmas and for the first time my trip coincided with the Klosters Christmas concerts which are now in their 7th year. 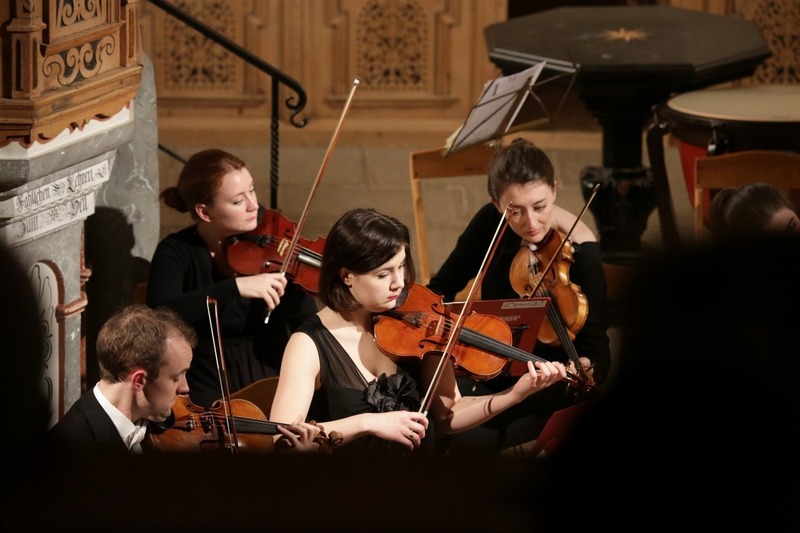 These concerts see members of the London Philharmonia Orchestra and the prestigious Lund Student Singers from Sweden combine in a musical feast for two nights in the charming church of St Jakob in Klosters. I was very fortunate as I had been invited to a special preview in the Hotel Vereina on the Friday evening. I wasn't quite sure whether I was turning up to a drinks party or a concert and as it turned out it was bit of both. Although friends chatted informally to one another with glasses of champagne, as soon as the musicians struck up the chit chat dulled to silence as everyone listened enthralled at the stunning pieces played in front of us. It felt wonderfully informal and what was so special was seeing how much the musicians were enjoying themselves and how much they loved being in Klosters. They played a combination of classical pieces and carols, finishing up with the best known of Swedish music – an ABBA medley. Unfortunately I was unable to go to the first of the concerts on the Saturday evening, but I heard from friends who went that it was completely stunning. The audience were treated to Handel (coronation anthems including Zadok the Priest and movements from the Messiah), Vivaldi (violin concerto in E-flat major) and Strauss (3 Mannerchore) as well as pieces from Bach, Schubert and Cornelius. I was there on the Sunday where it was themed much more towards Christmas and carols. I have been to plenty of school and charity carol services in my time, but this was something completely different. To hear carols and anthems being sung in such intimate surroundings accompanied by an orchestra of that quality was incredible and I completely adored every second of it. After the concert there was gluhwein and festive pastries (Swiss equivalent of mince pies) in the churchyard which was a great opportunity to catch up with everyone and meet the orchestra and the singers. These concerts are the brainchild of the Richards and Schauerte families and their vision of establishing a music festival in Klosters is about to become reality next summer. The festival aims to attract the very finest performances of classical and jazz music and will take place over 2-6 August 2017. Up to date information can be found on their Facebook page: https://www.facebook.com/klostersmusicfestival/, and on their website: www.klostersmusicfestival.ch. I hope to be in Klosters for the summer concerts as they sound terrific, but failing that I will definitely be back for the Christmas concerts next winter.